Are you a birth photographer looking for a creative way to organise your Instagram stories and showcase your birth storytelling skills? Perhaps you are doula or midwife and want to use Instagram stories to effectively educate and support mommas-to-be. If so, then we have an exciting resource to share with you! We’ve been collaborating with talented artists to develop a collection of icons perfect for your Instagram Story highlight covers. Embellished with floral touches, and a nod to ancient mehndi designs, these elegant hand-drawn iIllustrations portray themes central to birth with the beauty and dignity these cherished stories deserve. This set of 12 designs are sure to bring a sophisticated, cohesive and professional appearance to your Instagram profile. 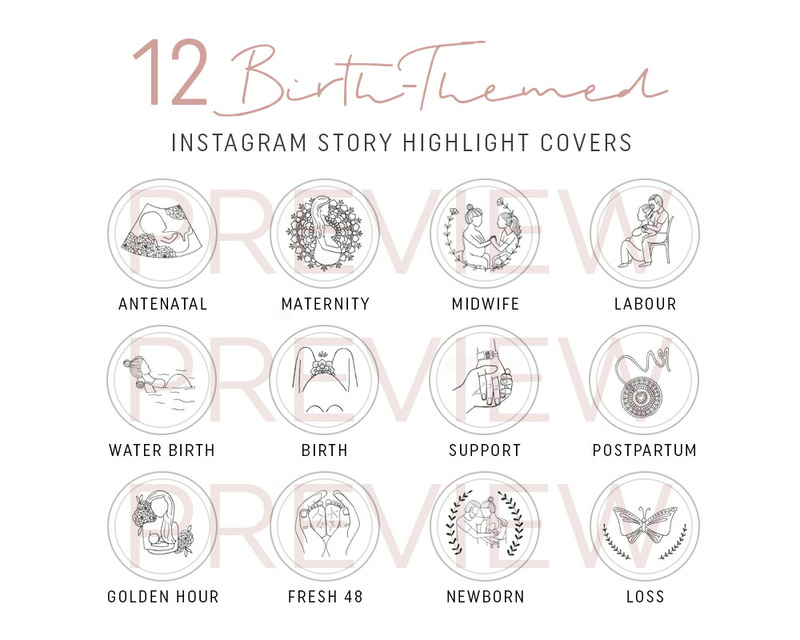 For a birth photographer, these covers are ideal for showcasing ‘galleries’ categorised according to session packages you may offer your clients such as: Maternity, Birth, Golden Hour, Fresh 48 and Newborn. For a midwife or doula these illustrations can be used just as effectively to showcase the valuable services you provide in areas such as: Pregnancy, Ultrasound, Antenatal, Labour, Birth, Postpartum, Infant Care and Breastfeeding. Select from a variety of elegant colours including: Black & White, Pink, Cream, Gold, Grey, Green and Blue. Bring an attractive, cohesive and professional look to your Instagram stories with a set of 12 covers from Lauren + Douglas. Select, purchase and download your set here! HOW DO I USE INSTAGRAM STORY HIGHLIGHT COVERS? Like the idea of taking your Instagram profile to the next level by adding highlight covers, but don't know where to start? 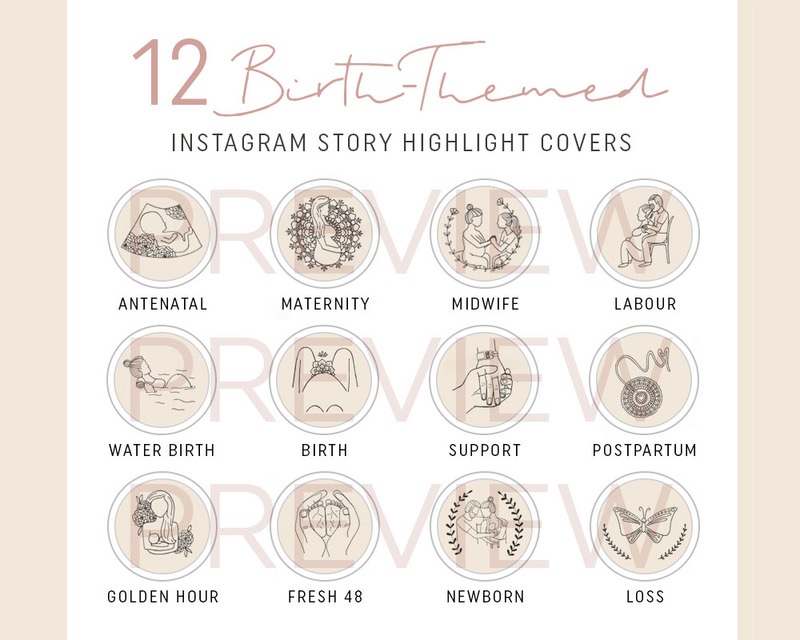 We've got you covered;) Check out our blog article with step-by-step instructions: 'Birth-Themed Instagram Story Highlight Covers–How to Download, Save, Post & Assign Covers'. Thanks for reading! Don't forget to check out Lauren + Douglas shop for other useful tools and resources.